Why are the Pleiades called the Seven Sisters? The famous and beautiful Pleiades star cluster, which lies between 429 and 448 light years from us in the constellation Taurus the Bull, contains at least 2,109 stars that were formed around 125 million years ago—relatively recently on an astronomical timescale. But when you look at the Pleiades with the unaided eye, unless you have unusually good vision and excellent sky conditions, you’ll see only six Pleiads. If you see more than that, you’ll probably be able to see 8 or 9 Pleiads, maybe more. But not seven. So, why are the Pleiades called the Seven Sisters? Here’s my conjecture. Take a look at the Pleiades on a dark, moonless night. What do you see? I think you’ll see a group of stars forming a tiny dipper shape, reminiscent of the much larger Little Dipper. How many stars make up the Little Dipper shape? Seven. How many stars make up the Big Dipper shape? Seven. 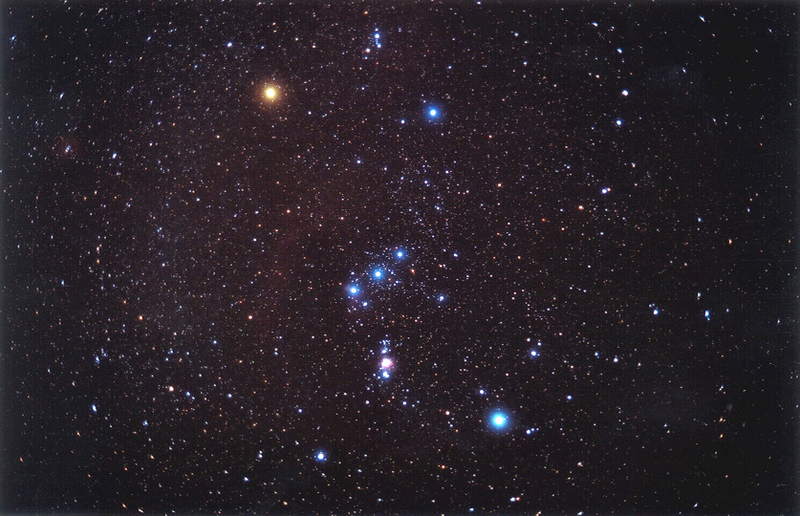 How many bright stars does nearby Orion have? Seven. Given this, and the fact that seven has long been considered a mystical number, it comes as no surprise, perhaps, that the Pleiades are called the Seven Sisters and not the Six Sisters or the Eight Sisters. How many do you see? The Pleiades will culminate1 at midnight for SW Wisconsinites on Friday night / Saturday morning, November 17/18.